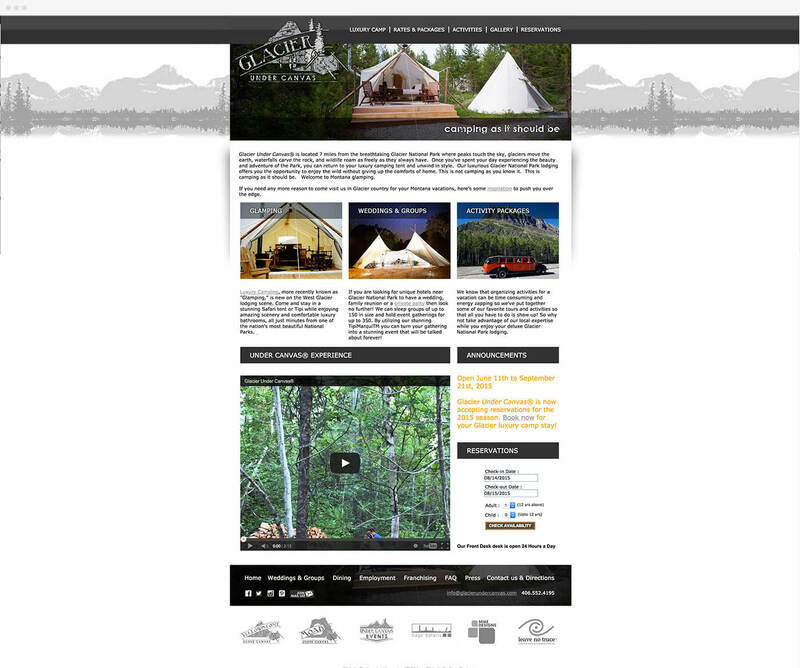 Visual identity for the Glacier Under Canvas® glamping camp. Glacier Under Canvas® is located just outside the stunning Glacier National Park and is part of the Under Canvas® group, the leading glamping brand in North America. Under Canvas® is a luxury camping brand offering a rustic meets elegance experience.